most notably the Amazon Alexa. These small, cylinder-shaped devices are voice control assistants that can help you out with things in your everyday life, providing you with information on anything you want to know and help you stay connected with your loved ones. While popular with people from all generations, the elderly generation is starting to take note and are finding out the benefits of themselves. Whether you’re planning on getting a loved one in your family an Alexa, buying one yourself, or simply wanted to learn more about them first, you’ve come to the right place. ‘Alexa’ is the name given to the computer technology which is known as a personal assistant. The technology is housed in a device which you can position anywhere in your house. As a voice-controlled assistant, you can talk to it and ask it to do pretty much anything. As the name suggests, you can say “Alexa”, so the device knows that you’re communicating with it and will listen to what you have to say. Many of the features it can help you with will be detailed below. There are many different versions of Alexa. This includes the Amazon Echo, the Echo Show (a device with a screen), and the Amazon Dot, all of which vary in size and functionality. What are the Main Features of Alexa? 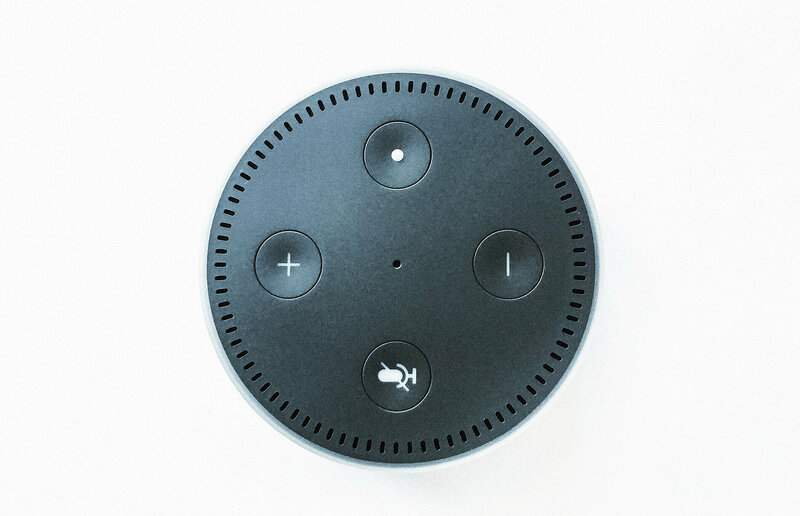 The Alexa device is both a microphone and a speaker device. This means it can listen to what you’ve got to say and responds to your inquiries. Thanks to this speaker, you’ll also be able to listen to music using your preferred streaming services, such as Spotify and Amazon Prime Music, or simply listen to any of the thousands of digital radio services that are available. You’ll also be able to save reminders, ask it questions (see below), contact other Alexa users and control appliances in your home if you’re using Smart technology, such as curtains, lights, and thermostats. Note: For all these features to work, the device will need to be connected to the internet, so this is something you’ll want to look into if a connection isn’t already available in your home. Is Alexa Safe in the Home? 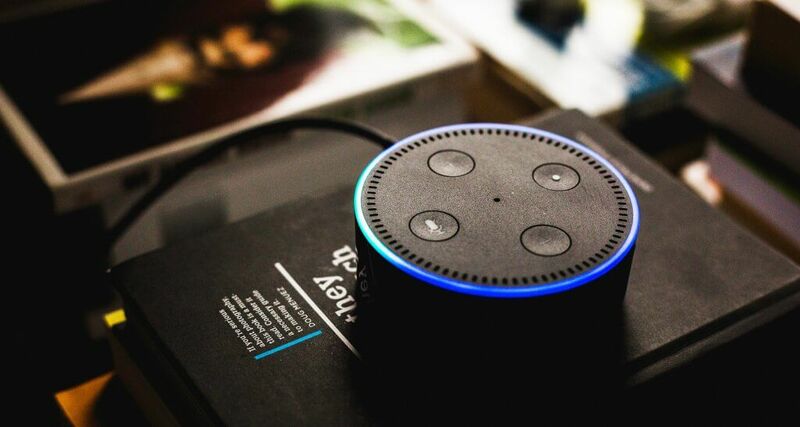 One of the biggest problems to arise with the introduction of voice assistants, such as Alexa, were privacy restrictions. This is because people believed the device is always listening, waiting for you to address and say “Alexa” so it can then help with your command. However, this raises the obvious concerns of whether the conversations in your home are being recorded or could be “hacked” and listened to by someone with malicious intent. This has been proven not to be the case. Alexa devices are secure and do not record your conversations. 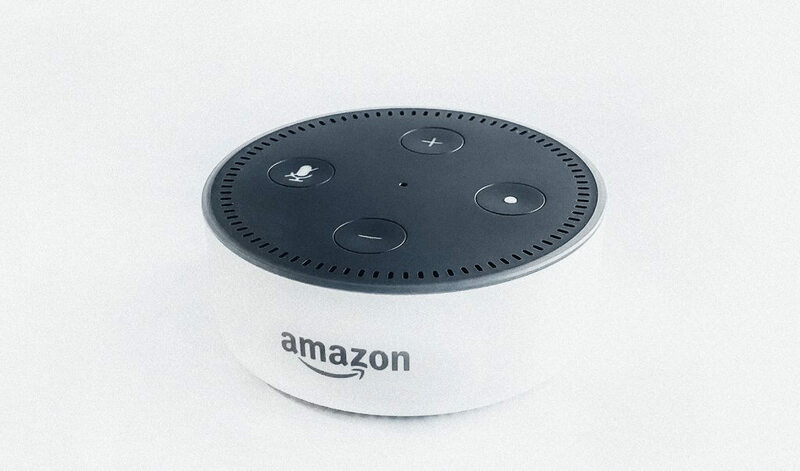 While the device will “listen”, it will only activate the main recording functions after it has heard the “wake word”, which is “Alexa”. This will activate the blue or white light on top of the device which will show you that it’s recording for the next few seconds. This will record your request, such as “Alexa, play music”, and will stop recording when the light goes out. The device will then process your request based on what you’ve said. Depending on the privacy settings of your account, your most common commands may be stored to help improve the experience you receive. This is much like Google will show you relevant advertisements based on your search history. If you don’t want Alexa or Amazon to store your commands or your voice recordings, you can simply delete them from your profile at any time. Recent surveys have shown that many seniors are happy to keep their privacy settings open since it helps them to enjoy a much better, more personalized service. this all sounds great, and it’s amazing what they can do with technology these days, but how does this benefit me or my loved one? Now that you’re aware of what an Alexa device is, we’re going to detail all the possible features and functions it can have in your everyday life, and why an Amazon Alexa might be a great addition to your home. Below, you’ll find an extensive range of possible functions for Alexa, much like an Alexa cheat-sheet. Feel free to print it, so you can always remember! Since Alexa is connected to the internet, it has access to all the basic information that an individual needs to know. This includes the date and the time, which is perfect for someone who suffers from memory lapses. If you have any events taking place that day, such as meeting up with a friend or seeing the doctor, Alexa can help you remember those appointments. Obviously you’ll have to let Alexa know about a future appointment at some point for this feature to work. It doesn’t matter how many times a day Alexa is asked these questions; she’ll always be happy to help. Alexa, do I have anything to do today? This is perhaps one of the best and most important features that Alexa will bring into your life. Do you have trouble remembering what you’re schedule is for certain days? Perhaps this week, next week, or for the rest of the month? Maybe you have an ongoing commitment, such as taking your medication every day, attending a club once a week, or have a visit by a doctor or nurse that comes on a weekly basis? Whatever you need to remember, simply program it into Alexa and she can remind you when you need to know. Have you ever had a question that you’ve just been dying to know the answer to, it’s on the tip of your tongue, but you just can’t seem to pinpoint what it is? Since Alexa has the ability to search the entire internet, you can ask her anything, and she’ll be more than happy to tell you the answer in a matter of seconds. Alexa, who was the 6th President of the United States? Alexa, what’s playing on HBO tonight? Alexa, where’s the best place to buy a new coat? Alexa, what’s the best computer for seniors? As a senior, making a list is one of the best ways to stay organized. However, you can spend all week making a list, only to lose it when the day comes, trying to remember everything that was on it. Why not use Alexa to add something to your virtual shopping list? Alexa has many list-making functions that can help you stay on top of everything all the time. For example, when you run out of milk, simply ask Alexa to add it to your shopping list. If you have an Android or iOS smartphone, you can download the Alexa app, so you can see what’s on your lists. You can create as many lists as you want by simply asking Alexa to make them, so you don’t have to get confused with what’s going on in each list. If you want to remember your lists, you could even make a list of your lists! If you’re using Smart devices in your home, you can sync up your devices to Alexa, allowing you to control everything with your voice. Using your Alexa, you can make sure that everything is exactly how you want it in your home, or to make sure that everything is off before you leave the house. One thing less you have to remember. Did you know? There are many other smart devices that have incorporated the Alexa technology, such as the Ecobee range. These can be installed within an hour to replace your existing sockets and come with a range of features to help you manage your home and save money! Alexa is a dedicated hub when it comes to keeping yourself entertained while you’re at home. You’re sure to find this as one of the most engaging features. Consider all the music that you’ve listened to throughout your lifetime. You can bet your bottom dollar that it’s been made available online. This means you’ll be able to listen to on demand, or radio stations. You can also listen to audiobooks or whatever you like while you’re relaxing or going around your house and completing your daily tasks. Getting bored of music? Ask Alexa to tell you a joke, riddle or brain game, and it can do just that! If your family is in possession of an Alexa as well, you’ll have the ability to send voice messages to one another. Living alone as a senior can be depressing, and it’s really not uncommon to feel lonely from time to time, especially if everyone else seems to be rushing around in their lives. Alexa can help you stay connected to the people you love, even if you’re making a phone call, or simply leaving them a little message to make sure they’re okay. Furthermore, Alexa has an ‘Ask My Buddy’ feature built into the device. This feature means you’ll be able to list an emergency contact of someone who also has an Alexa device. If you’ve fallen over or feeling stressed, you can say ‘Ask My Buddy,’ and it will send a text or call directly to their mobile phone. Note: The ‘Ask My Buddy’ service is not a direct replacement to the 911 Emergency Services. If you find yourself in need of medical attention, simply say, Alexa, call 911, and make the call to the right department as you normally would.